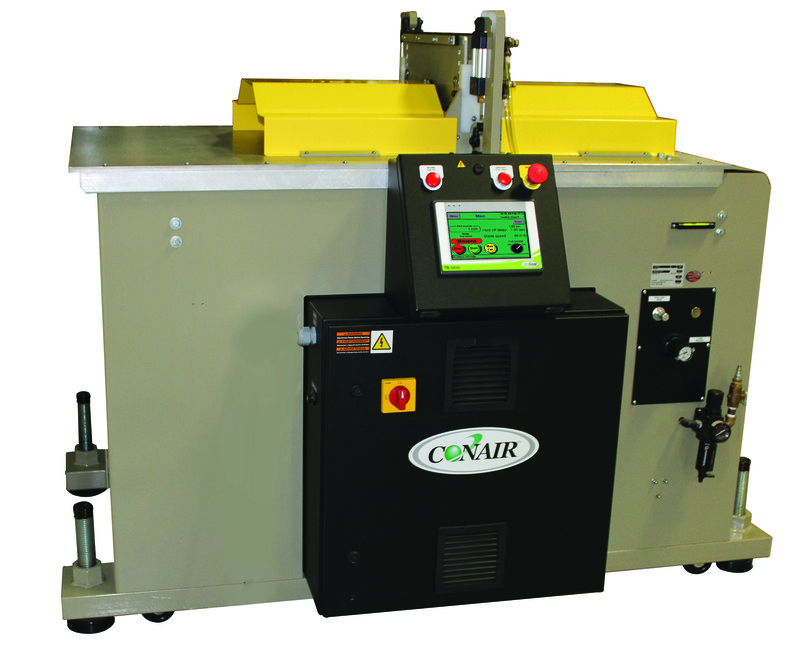 Conair TS Series Up-Cut Saws offer heavy-duty cutting performancece for larger, thicker extrusions that cannot be effectively cut with ﬂy knife cutters. The TS Traveling Saw, moves along with the process speed to cut pipe or proﬁles exacting to lengths with a carbide-tipped circular saw blade that rises from below the moving table. The operation is fully shielded to prevent injury and operates fully automatic. A heavy-duty, precision servo system provides smooth and consistent table top movement. Optional servo table travel with planetary reducers and a heavy-duty timing belt eliminates costly secondary operations, offers extreme cut-to-length repeatability and eliminates pneumatic adjustments for table travel. The simplified arbor motor design reduces maintenance and increases blade rotation allowing faster line speeds. Blade speed is matched to blade diameter selection.